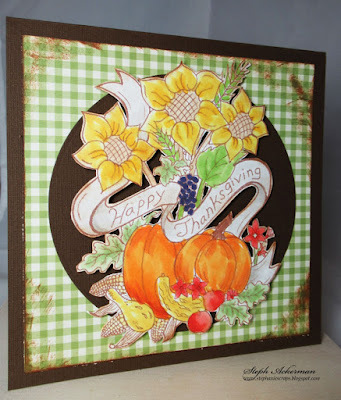 Hi everyone, it's time for a new challenge at Just For Fun Rubber Stamps and this month it's all about Thanksgiving. I've used the Thanksgiving Collage stamp for my card, coloring with Copic Markers. 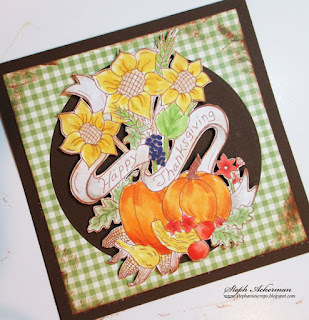 This is a large stamp that sits prominently on my card. 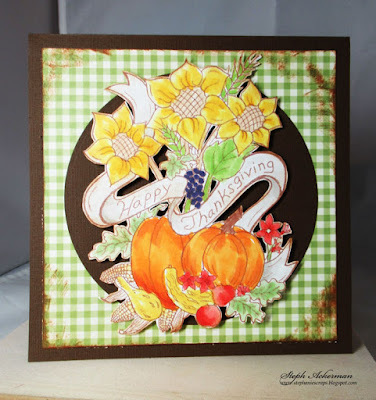 After fussy cutting the image, I placed it atop a large circle die with foam adhesives.